Connect your Garmin or compatible device to your STRAVA® website profile. 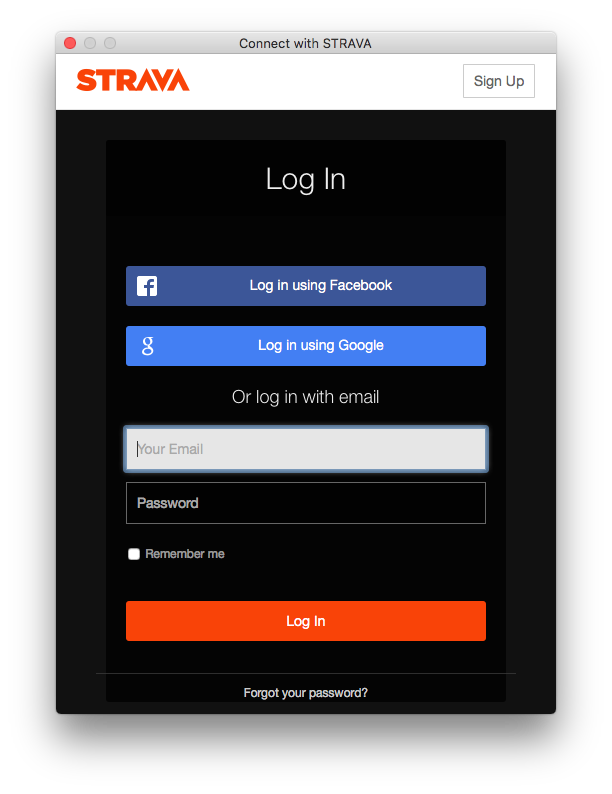 Registering with STRAVA® is as easy as it can be, right from the ‘Connect with STRAVA’ menu option. Have your Garmin® or compatible device connected to your computer and it is showing in the Finder. 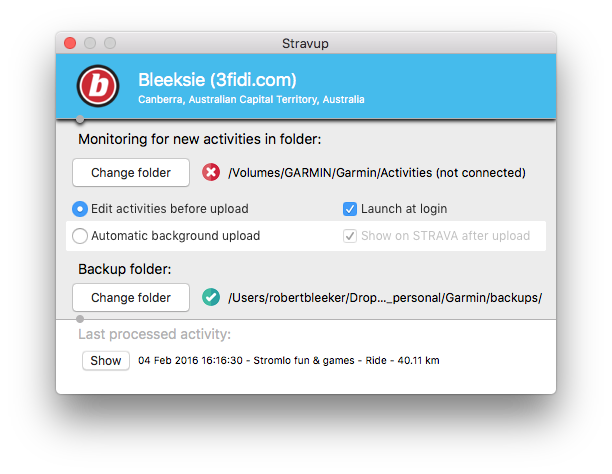 Select which folder on your device has the activity files, for Stravup to monitor. Decide if you want to Edit the activities before upload OR if you want to Auto upload in the background. 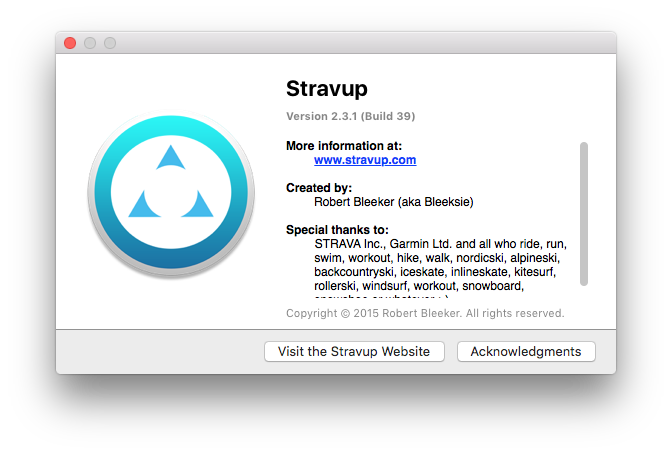 Stravup can navigate to STRAVA® after the auto upload is completed. Decide if you want Stravup to automatically start whenever you login to your computer. Showing a list of all new activities. Add your own name or let STRAVA® create the default. Shows current athlete’s default activity type. Ability to change the activity type. Click “show” to navigate to the activity on STRAVA®. Stravup will check for new activities as soon as you re-connect your device then will upload them for you. NOTE: Stravup compares to the 200 most recent online STRAVA® activities. It is a good things to keep your device clean by manually removing files after every few uploads. Created for Garmin® devices, but any device that generates STRAVA® compatible files (FIT, GPX or TCX format) and that mounts as a Volumes on your computer should work. Made possible with the help from the STRAVA API v3. * STRAVA is a registered trademark and this app it not affiliated with STRAVA Inc.
* Garmin is a registered trademark and this app it not affiliated with Garmin Ltd.